20. Maritime Interception and U.N. 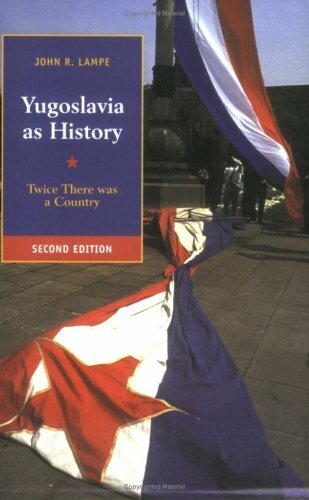 Although this is a general history of Yugoslavia, from ancient times up to 1992, the analysis reflects the fact that Lampe is first and foremost an economic historian. Lampe's "Yugoslavia as History" is probably the first book that deals with the entire history of Yugoslavia from its inception in 1918 to its collapse in 1991. 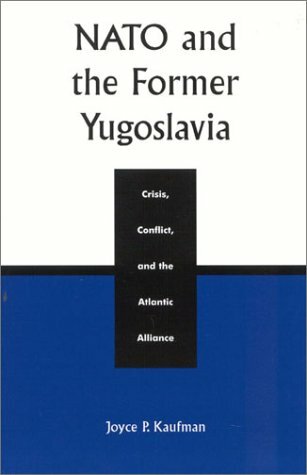 While discussing pre-1918 developments and (very summarily) post-1991 events, he focuses his discussion on Yugoslavia as it actually existed, doing a commendable job of viewing past events on their own terms rather than through the prism of present-day events (the primary flaw of many recent historical works written both by former Yugoslav and outside scholars, commentators, etc.). Lampe's primary expertise is economic history, and this is evident in his strong analysis of Yugoslavia's frequent economic problems, which would be a crucial factor in the country's eventual downfall. However, this means he often gives short shrift to the cultural, social and intellectual antagonisms which gave expression to the country's underlying problems. 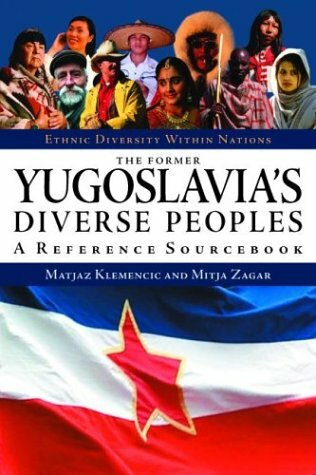 Also, while socialist Yugoslavia's decentralized political structure did foment the development of separate economic, social and intellectual cultures, there were also many factors that bound Yugoslav citizens and did create a some sense of community (he only touches on sports and film, but almost completely ignores literature and pop music). Indeed, this appearance of a rudimentary common culture was what made Yugoslavia's violent breakdown so shocking to people in the county itself and to outside experts. Even so, "Yugoslavia as History" is a very strong survey of the country's troubled history and a very useful resource for students and others - it is much, much better and more informative than the many "instant histories" (a term I think Lampe himself used in a journal article) which appeared in droves once Yugoslavia did break up and the war started. The book is also, by the way, a very good reflection and summary of the main streams of American historiography on the former Yugoslavia. while john r. lampe's book is accurate and very readable, Iwould still like to point out some problems. the main one is, that theauthor deals with slovenians and macedonians very briefly, more like an afterthought. as a slovenian, I may feel a bit strongly about it, but I would like to give two examples: there is no mention of the isonzo front (first world war, between italy and austro-hungary), which went on for twelve battles and has its own novel (and film) - farwell to arms. also, the ossimo accords, which finalized the border between yugoslavia (now slovenia) and italy are not mentioned -and they are important, since italy used them to present all sorts of obstacles to slovenia after 1991.the book is still very much worth reading, but keep in mind that the slovenians (and I imagine the macedonians) are not given the adequate space. read something else as well! 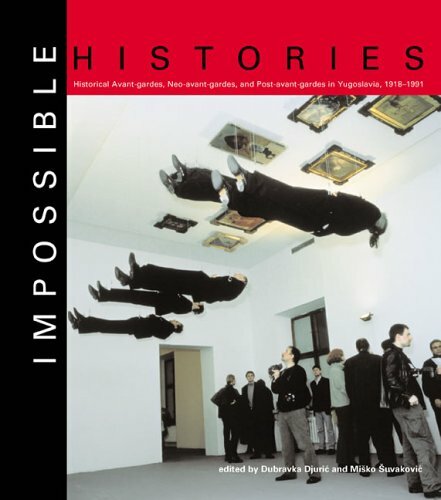 Impossible Histories is the first critical survey of the extraordinary experiments in the arts that took place in the former Yugoslavia from the country's founding in 1918 to its breakup in 1991. The combination of Austro-Hungarian, French, German, Italian, and Turkish influences gave Yugoslavia's avant-gardes a distinct character unlike those of other Eastern and Central European avant-gardes. Censorship and suppression kept much of the work far from the eyes and ears of the Yugoslav people, while language barriers and the inaccessibility of archives caused it to remain largely unknown to Western scholars. Even at this late stage in the scholarly investigation of the avant-garde, few Westerners have heard of the movements Belgrade surrealism, signalism, Yugo-Dada, and zenitism; the groups Alfa, Exat 51, Gorgona, OHO, and Scipion Nasice Sisters Theater; or the magazines Danas, Red Pilot, Tank, Vecnost, and Zvrk. 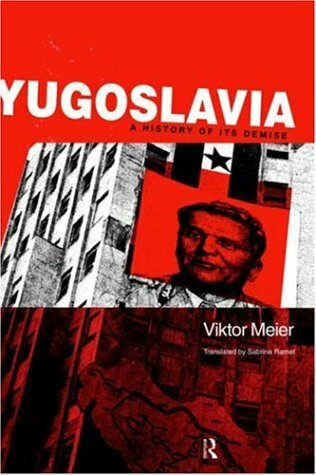 Yugoslavia: A Concise History surveys the whole turbulent course of the country's history, in the context of the struggles between great powers for control of the Balkans. Torn apart by nationalist rivalries, the first Yugoslavia lapsed into paralysis and dictatorship. Axis occupation in 1941 unleashed a murderous civil war, in which the Communist Party emerged victorious. Tito's Yugoslavia appeared to the world as a peaceful, multi-national federation, but in the end disintegrated amid barbarism unknown in Europe for half a century. 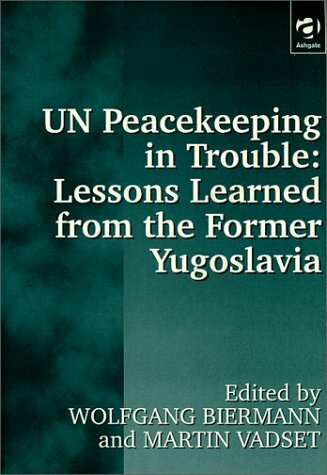 This revised and fully updated edition explains why, and takes the events up to the arrest of Milosevic in 2001and beyond. Leslie Benson is the Senior Lecturer of Politics and Sociology at University College Northampton, United Kingdom. 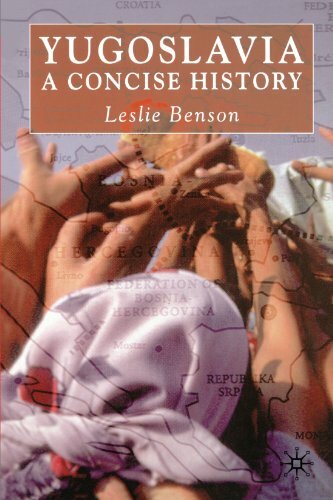 In Yugoslavia: A Concise History, Professor Benson provides his readers with a straightforward, meticulously researched, and informatively narrated historical study of the fierce ethnic rivalries that have hallmarked the Balkans and frequently erupted into horrific episodes of militant barbarism and the kinds of "ethnic cleansing" atrocities that shocked late twentieth century Europe and America. A thorough examination seeking to the reveal roots of bitter clashes and struggles, Yugoslavia: A Concise History is especially recommended introductory reading for non-specialist general readers with an interest in Yugoslavian history and acquiring a basic understanding of the historical background to the contemporary antagonisms that have so scarred the peoples and territories that once comprised the multi-ethnic nation of Yugoslavia. The history of the area known as Yugoslavia is so complicated that the average person will throw up his hands in trying to understand the reasons for Milosevic's ethnic cleansing, NATO's 1999 air strikes against Kosovo and Serbia and the uneasy peace today. As the Ottoman Empire began to crumble, various elements saw their opportunity to hasten the Ottoman withdrawal and grab land and power. The turning point came in October 1912 when Montenegro declared war on Turkey, with the Serbs crushing an Ottoman army in a massed battle at Kumanovo in Northern Macedonia and taking Kosovo. A policy of terror designed to alter the ethnic composition of Kosovo and strengthen Serbia's claims to the province followed, leading to the massacre of about 20,000 Kosovar Albanians followed by torture, maiming, and forced conversions. In May 1913 Serbia and Greece, supported by Montenegro and Romania defeated Bulgaria; Serbian nationalist fervor boiled over as Old Serbia had been recovered, the battle of Kosovo was avenged and the Turk routed. On 28 June 1914 the Archduke Ferdinand was assassinated in Sarajevo by a Bosnian Serb; Austria-Hungary declared war on Serbia triggering World War I in which 40% of the Serb armed forces and 25% of the total Serb population perished. Serbia was too weak to claim a seat at the diplomatic table when the secret 1915 Treaty of London gave Serbia Bosnia-Herzegovina and a portion of southern Dalmatia where there was a concentration of Orthodox Christians. The abdication of the Russian Tzar in February 1917 robbed Serbia of its most powerful support. Following the war, seven treaties settled various territorial claims, Albania became an Italian protectorate, the Kosova Albanians revolted against Serbian rule, the Yugoslav Communist Party was formed, Tito returned from Russia where he had been a prisoner of war exposed to ideas and methods of the October Revolution, intrigue abounded everywhere jousting for power or justice, anarchy and murder ruled, people profiteered while others went hungry.Drained of blood and treasure, Serbia struggled to make good its claims against hostile Italian diplomacy while trying to integrate minorities none of which welcomed rule from Belgrade. The communists gained power in local elections and 16 parties were represented in the 1920 elections to choose a constituent assembly. The electoral success of the Communist party with an appeal well beyond the numerically tiny working class, exceeded the worst fears in government circles. "The kingdom of the Serbs, Croats and Slovenes could hardly have got off to a worse start. Of the three founder-peoples, two were recalcitrant joiners. Now a rump 'Serbia' Assembly had passed a law giving apparently limitless power to the executive. The scene was set for two decades of political paralysis, which ended (when it was too late to make any difference) with the partitioning of the state and the outbreak of Hitler's war in the Balkans." Hitler's plans entailed picking off one by one the states created by the Versailles Treaty and Yugoslavia drifted into the Axis sphere of influence. It was the Kosovar Albanians who caught the full force of racial bigotry that surfaced during the 1930s, resulting in murder, dispossession of lands and cultural oppression with the intention of removing them altogether. In 1935 Turkey offered to accept 200,000 Muslims from Kosovo. The communists, many of whom were revolutionaries in the Lenin mould, veterans of the civil war in Spain and with experience of prison and police brutality had their chance to form a formidable clandestine organization. The government was overthrown by a coup in April 1941and in retaliation, the Luftwaffe reduce Belgrade to rubble. In the turmoil of World War II, guerilla war and civil war, the communists gained power, but Tito's regional ambitions had no place in Moscow's plans, leading to the 1948 expulsion of the Yugoslavian Communist Party. Tito's death in May 1980 unleashed inflation, the party's hold on a discontented population weakened and old enmities reemerged. In 1987 Milosevic became effectively ruler of the republic, setting in motion an ugly tide of anti-Muslim sentiments on the 600th anniversary of Kosovo Field in June 1989. 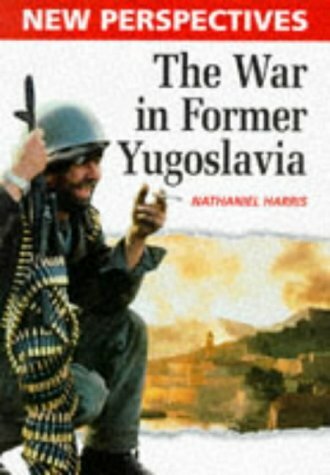 The final chapter 'Back to Kumanovo' tells how the second Yugoslavia slowly expired following the fall of communism, the Milosevic years of ethnic cleansing, the 78 days of NATO bombing and Milosevic's arrest in April 2001 and warns that: "It does not seem even remotely possible that the Kosovars will accept for ever their present found constitutional status as an integral part of Serbia" and "Finally, but by no means least, the settlement in Bosnia-Herzegovina is coming apart at the seams, as most people always thought it would" and " However, the domestic politics of the Federal Republic of Yugoslavia may be entering another phase of turmoil" and "In Macedonia, Bosnia and Kosovo the Balkan crisis continues." At the end of the 20th century, interregional conflicts in the former Yugoslavia culminated with Slobodon MiloÃŸevic's campaign of ethnic cleansing, which led to NATO intervention and ultimately revolution. What ignited these conflicts? What can we learn from them about introducing democracy in multiethnic regions? What does the future hold for the region? 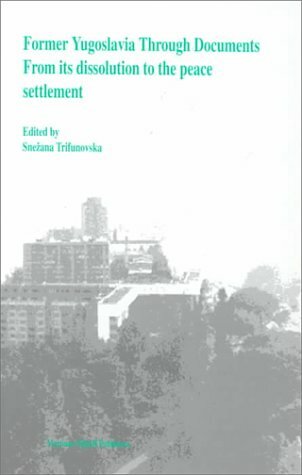 To answer these questions, this timely volume examines the ethnic history of the former Yugoslavia. From the settlement of the South Slavs in the 6th century to the presentâ€”paying special attention to the post-World War II era, the crisis and democratization in the 1980s, and the disintegration of the country in the early 1990s. This comprehensive single volume traces the bloody history of the region through to the fragile alliances of its present-day countries. 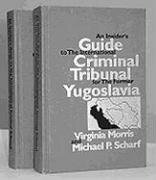 On 25 May 1993 the United Nations Security Council took the extraordinary and unprecedented step of deciding to establish the International Criminal Tribunal for the Former Yugoslavia (ICTY) as a mechanism for the restoration and maintenance of international peace and security.This was an extremely significant innovation in the use of mandatory enforcement powers by the Security Council, and the manifestation of an explicit link between peace and justice --politics and law. The establishment of ad hoc tribunals for the former Yugoslavia and Rwanda was followed by the adoption of the Rome Statute of the ICC in July 1998, the arrest of General Augusto Pinochet in London in October 1998, and the establishment of ad hoc tribunals in Cambodia, Sierra Leone, and East Timor, all of which pointed to an emerging norm of international criminal justice.The key to understanding this is the relationship between the political mandate and the judicial function. The Tribunal was established as a tool of politics, but it was a judicial, not a political tool. 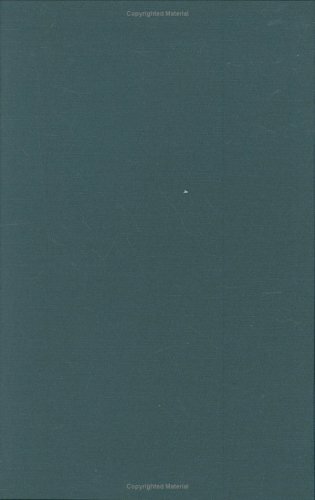 This book provides a systematic examination of the Tribunal, what it is, why it was established, how it functions, and where its significance lies.The central question is whether an international judicial institution, such as the Tribunal, can operate in a highly politicized context and fulfill an explicit political purpose, without the judicial process becoming politicized. Separate chapters chart the origins of the court, the process of establishment, jurisdiction, procedure, state co-operation, including obtaining custody of accused, and the role and function of the Chief Prosecutor. 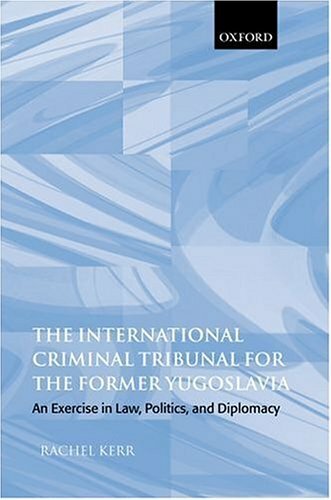 This last element is the key to the Tribunal's success in maintaining a delicate balancing act so that its external political function does not impinge on its impartial judicial status, and instead enhances its effectiveness.The book concludes with an assessment of the conduct of the Milosevic case to date. The hostilities that saw the break-up of Tito's Yugoslavia ravaged the Balkans and generated some of the most tragic episodes in modern history. This book explores the history of the conflict and it's themes from an insider's perspective. In this independent and critical account, Ian Oliver uses his extensive experience in the region to evaluate the role of the international community in its responses to the war and the efforts to rebuild. 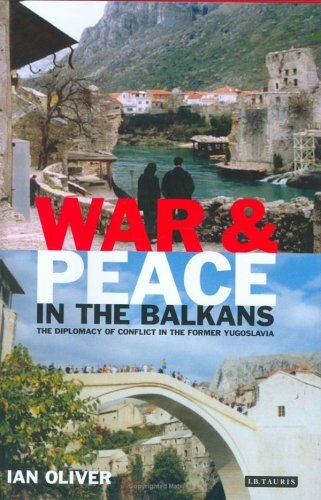 This book is an introduction to the Yugoslavian wars. With just about a hundred pages in length, it presents a very succint picture of events that spanned over a decade (the nineties). I am not familiar with these series (Essential Histories) but it appears as though this is what they are intended to be, very succint works, just a roadmap to help the reader gather further knowledge elsewhere (but don't expect to find a big Bibliography here). * I also liked the way they present the 'participants' of the conflict (page 19). This is an interesting approach that I don't remember to have seen elsewhere, as they cite over 14 involved parties: other than Serbian, Croatians and Bosnians, there was the 'international community', international and military organisations that directly or indirectly had a saying in the outcome of the war. Again, this presentation of the warring sides is interesting, and reminds me also of management theories about the numerous 'publics' or 'clients' that a corporation has to deal with on a daily basis (also known as 'interested parties' that are affected in some or another way by the business of a corporation, and which explains, in part, the profession of public relations). 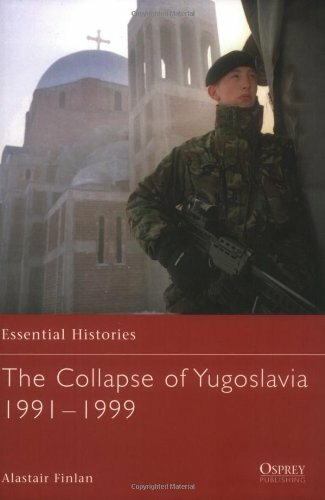 To summarise, I recommend this book as a quick reference guide for the Yugoslavian wars, a roadmap for the beginner. (Yet I still consider 'Death of a nation' a much better introduction to the subject). 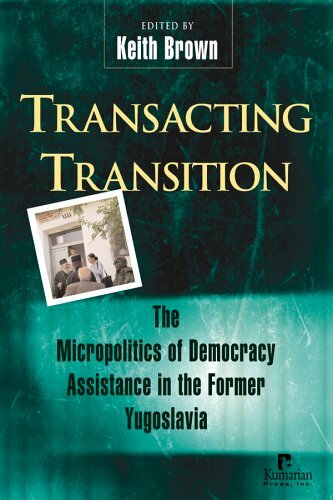 In Transacting Transition, scholars and practitioners with firsthand knowledge of foreign assistance programs, recount what happens when democracy goes local, and principles like transparency, gender equality, interethnic tolerance and cooperation, run up against particular realities-political agendas, self-interest and memories of conflict. 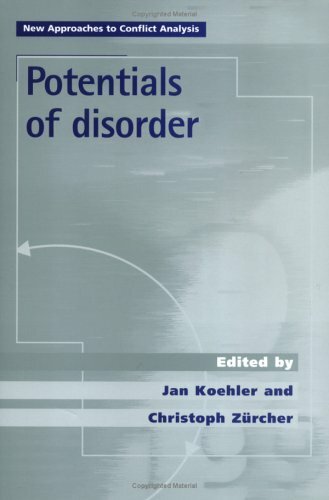 Focused on the former Yugoslavia, where the 1990s saw an unprecedented investment of time and energy by a host of international organizations in processes of reconstruction and democracy assistance, the contributors offer description and analysis of diagnostic cases of international intervention to explore how the mission and vision of "democracy promotion" is enacted on the ground. In this second volume, Rusko Matulic continues to formulate a comprehensive bibliography of primarily published sources relating to the history, languages, literature, politics, government, religion, and social sciences of former Yugoslavia, including bibliographical materials on expatriates.